The a7III is an interesting camera. 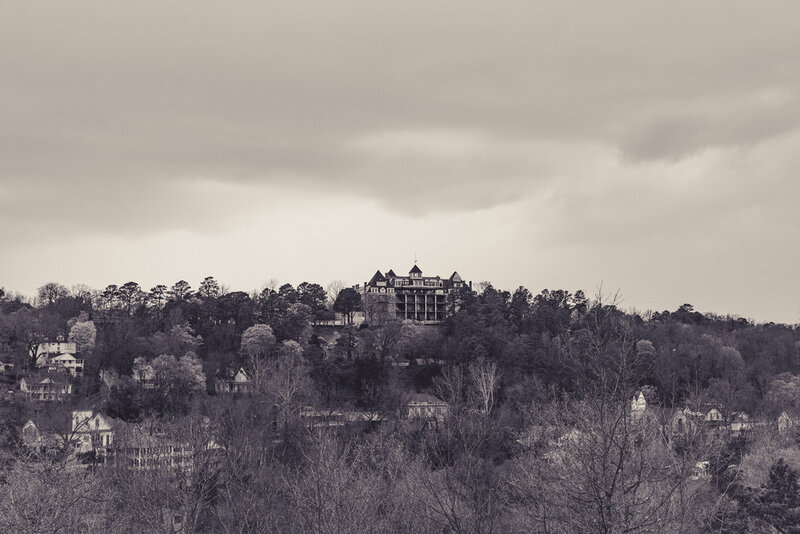 Because it can almost see in the dark I wanted to try my hand at some interesting photography in Eureka Springs, Arkansas. I also needed to replace some of my older landscapes taken with my Sony a77 apsc camera. It was a great looking morning but it quickly grew into a downpour that lasted almost all day. Since I was with my father, I could not spend the entire day in Eureka and knew that I only had a limited window to get the shots I need. Once we got there, it began to pour. Maybe I could have found a way around the weather and shoot from the truck or other cover but the sky was also littered with lightning. Now, I don’t know about you, but I really don’t want to stand outside holding onto a large metal tripod in a lightning storm. Call me overly cautious but I wasn’t actually made with a bolt of lightning, stitched together by a madman in a dungeon laboratory even though that may be what many former high school girlfriends might claim. We did stop on an overlook that has a nifty little cover and I was able to test out the Sony a7III’s time lapse video feature. Kinda cool but not really a good test since the weather was so bad. Below id the video it created with some color correction in Premier. If you look closely, you can see the rain come in from the left and drench the Crescent Hotel. But of course I got some RAW photos of the landscape. It took a little doing to make those photos look way more interesting than the image in the above video, but I think it came out alright. I used Lightroom to make all of the edits in these photos with the exception of dumping it into Photoshop to enhance the Gamma to where I like it. I also went playing around with many of the “Free” presets on the internet. Some of them are pretty cool but I find it hard to find any that work for every photo. If you download them, they are easy to install but sometimes how they get the result is kind of hard to figure out. Needless to say, I did find one that I liked. In the context of the Crescent being haunted, after all it was a hospital before it was an hotel, I thought the old timey look was appropriate. I do plan on returning to the town in the future. 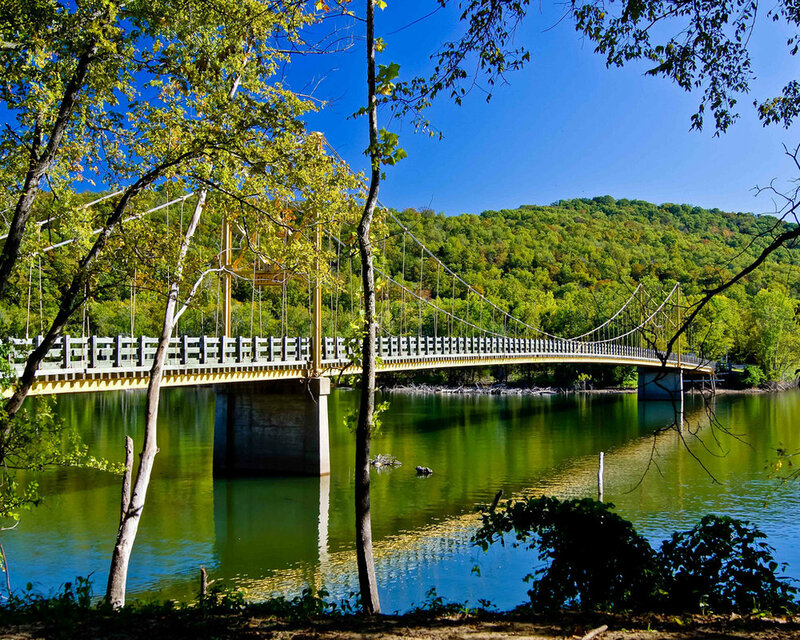 I really want to get images of the old suspension bridge that hold up when blown up to massive proportions. I just love seeing these images larger than life, if you haven’t figured that out yet. Don’t worry, I will also be looking for that spectral image at the Basin Park Hotel and the Crescent this year. Ok, not really expecting to, but I might work a little photo magic and pretend something like that actually exists. And if it really does, I will be even more shocked than you would be. If you would like to purchase any of the mages in this blog please visit the store or just click on the photo. I have many different types of prints that can fit in and with almost any decor or color scheme.